Re: What dictatorship? Samoa is a democracy! Samoa: Revolution, Evolution or Death. Evolution so that Samoans become strong in the areas of critical thinking and argument is required. Those leaders tempted to steal needed to be tamed and a knowledge of Democracy and Tyranny is needed- gleaned from the History of Man. A long habit of not thinking wrong, gives it the superficial appearance of being right, and raises at first a formidable cry in defense of custom. But the tumult soon subsides. Time makes more converts than reason. History is the long and tragic story of the fact that privileged groups seldom give up their privileges voluntarily. 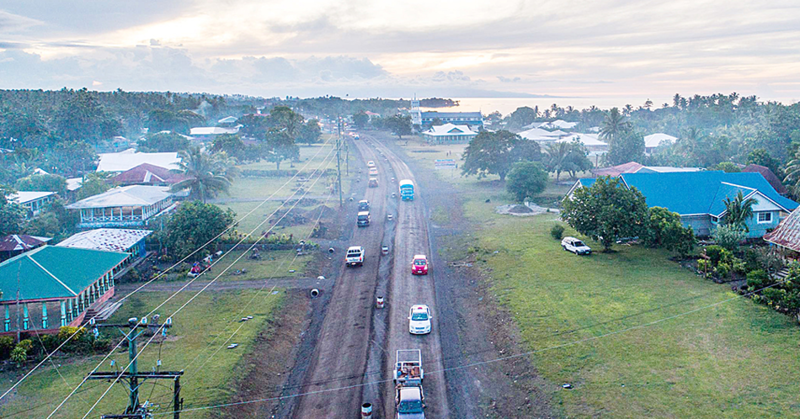 In Samoa, rotten money is preventing change that is desperately needed to save the nation. Unless we fundamentally change this system, ultimately campaign finance will consume our democracy. Plutarch wrote how money corrupted elections and ruined Rome. Section 22 (3) of the 2013 Audit Act sets out the rights of those being investigated. Section 22 (4) sets out that any information gained from someone claiming privilege may not be used to incriminate them. (ii) the falsity of any statement contained in the information, explanation, document or record or the falsity of the thing. This appears to mean that people may be prosecuted for hiding evidence or lying about it, but not for any crimes that may be proven by evidence they provide themselves, if a person does claim privilege.